The book is Revathi’s autobiography. Revathi was born into a working class family in Tamil Nadu. The youngest of three brothers, she was born as Doraisamy. From a very young age, she enjoyed the tasks that were assigned her sister more than her brothers. She longed to be a girl as long back as she remembers. She feels like a woman trapped in a man’s body. All she wanted was to be a woman, to be considered a woman by society. Slowly, getting more and more aware of herself, she meets up with others like her. Her quest to be a woman leads her to a totally different life. A life where she is taunted for her state of being, where she is not accepted by her birth family, and yet she finds a family of her own. She runs away to Delhi in search of a life where she can be herself. All is not rosy there either. She faces trouble and violence of all sorts. All she wants is to live a life being true to herself, with a little dignity, to be accepted for what she is but that itself seems like a tall order. As I said, it is no easy read. It is sad, tragic and heart-breaking. 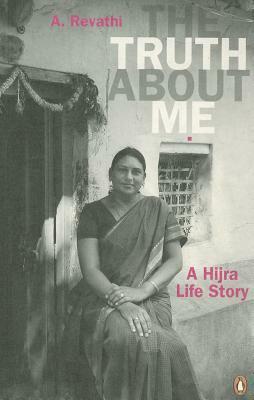 Having said that it does give an insight to life as a Hijra in India. PS: Does anyone know how it is for transgenders in other countries? Smita recommended this book on my review of the Author’s first book. 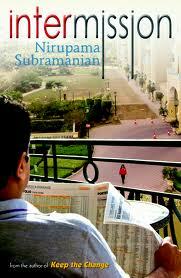 Varun, lives a ordered, boring, not-so-happily married life with his wife Gayatri and teenaged son. While everything looks fine on the surface, there is unhappiness and dissatisfaction simmering under the surface. They are NRIs who have recently recently relocated to Gurgaon. Varun appears to have settled in well, while Gayatri is finding it far more difficult to take to the place and the way of things. Living in a luxury condominium, they are living an life of luxury, but of unease.In the midst of all this, Varun falls in love with Sweety, a young mother of twins living a dream life of her own. Having recently shifted out of her joint family, Sweety is savouring the joys of nuclear living. A disturbing as well as quite a possible scenario. The way the story unfolds is quite nicely handled, without making it sleazy or cheap. The frustrations and the challenges that each of them face is nicely brought out. The illict relationship has been handled with sensitivity. And all the characters feel real. I especially liked the descriptions of life in the luxury condos of Gurgoan – quite relate-able to life in most new parts of urban cities, where sudden development sees luxury and poverty living side by side. Gayatri was the character who appealed the most to me. She was real, she was not perfect, but she was doing the best she could do. I liked the ending as well. It was a realistic ending. A quick read, a page turner, something which will definitely not bore you. Some books make you wonder what made you pick them, while others make you kick yourself for not having read them before. A Town like Alice falls in second category. I got to know of this book from Manju of ‘Of Cabbages and Kings’ on twitter, and it immediately caught my interest. Jean Paget, a young English woman,in post-war England, comes into an unexpected inheritance. All she wants to do with it, is go to Malaya and build a well. Rather unusual, isn’t it? That’s what the lawyer, Noel Strachan, who was executing the inheritance for her thought as well, until she tells him her story. She had been twenty years old, working in Malaya when the Japanese invasion began. She is captured along with the other English men and women. The men are sent to prisoner camps, but the Japanese had no prisoner camps for the women, so they were made to March across Malaya, through ill health and deaths. Jean’s courage and ingenuity managed to save some of the group. While on the march, they ran into Australian prisoner, Joe Harman, who paid a rather high price for doing his bit for the women. A few years later, Jean had been living an ordinary existence in London, working as a typist at a company that made shoes and bags, when the news of the unexpected inheritance reaches her. What she really wants to do is go back to Malaya and do something for the kind villagers whose help kept her and some of her companions alive. She knows how much a well would help them. She knows how diffcult their lives were, having lived their life with them. With the money from the inheritance, she could now, make a difference. She sets off on her mission, and goes far beyond Malaya. She ends up in Australia, and there again, her ingenuity, determination and courage takes her through a challenge that would have daunted most people. 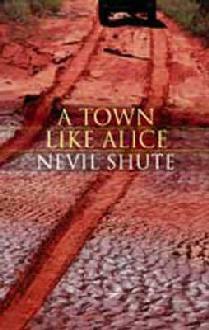 To create a town just like Alice(Alice Springs). A wonderful story of love, courage and determination. The characters are ones that you connect with. 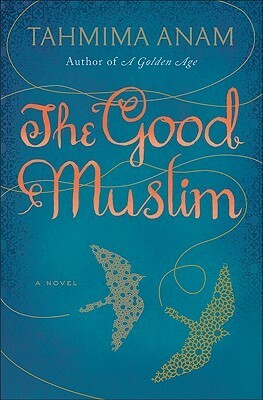 A nice, warm book, where despite the hardships that the characters face, the overwhelming feeling is that of hope. A book that stays with you. A highly recommended read. My aunt recommended this book. Given that we have so many books that we like in common, I was waiting to get hold of it. Two Tamilian Brahmin families, in two different parts of India, in 1930s British Colonial India, bound by a common destiny. Rajam and Dharmu were both child brides, unaware of the life awaiting them. Rajam’s husband, Partha, fell in love with her at first sight, and engineered their marriage. For all the love that he bestowed on her, she had to bear the brunt of a mother-in-law from hell. Nothing she did could please her mother-in-law, and her childless state was the worst testimony of her failure as a daughter-in-law and wife, in her mother-in-law’s eyes, even if her husband was not bothered by it. The harder she tried, the more difficult her life became. Dharmu, brought up in a village in Tamilnadu, is suddenly transported into a totally different world after she gets married. Her husband, Mahadevan, a sophisticated, London returned civil servant, lived a very different, Western life in East Bengal. In the middle of the political unrest and uncertainty, Dharmu tries hard to fit in. Sadly, no matter what she did, she could feel herself lacking. Right from her manners, her English, to the food that her husband insisted on. Everything was alien, and nothing seemed to elevate her loneliness and unhappiness. Things which were strictly forbidden growing up, now becomes things that she has to do, in order to fit into the society that her husband moves in. Her only joy in life was her little son, born after two daughters. Her casual neglect of her daughter, never even occurred to her, because, after all, they were just daughters, meant to be brought up and sent away to their marital home. 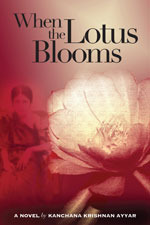 Unknown to both these families, the blooming lotus, would have a significance to both these families. I really enjoyed the style of the author. She transports you to that era, effortlessly. Sights, smells, experiences, everything. You could be Rajam or Dharmu’s neighbour, witnessing them, going about with their lives. Their day to day lives, along with those around them. The story is woven with the traditions, practices and rules that bound the men and women of that time. Things that they accepted as part of life. The characters are really well-fleshed out. You feel Rajam’s frustration, and her determination to do her best, Dharmu’s loneliness and empathize with their situation. Even smaller characters like Dharmu’s maid, or the village untouchables are so well integrated into the story, that the book is a wonderful read, a sliver of life in a different time. There is a fair sprinkling of Tamil words through the book, which just brings out the flavour of the book. I think it is books like these that capture an older time(good or bad), for when most of us would have forgotten it. And that, I think is what I really loved about the book. If you like fiction of this sort, an olden era brought to life, you are sure to like this one. I would definitely recommend this book. This was a gift from Bindu, and one that I have to say, I absolutely LOVED. 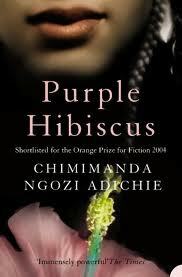 Set in Nigeria, fifteen year old Kambili lives in fear of her dad. Her father is a pillar of the society, a generous, much respected and revered Catholic patriarch. While the community looks up to him, his family is petrified of him. His fanatically religious mindset ensures that his son daughter and wife have no real freedom. Their lives are bound by the schedules he draws up for them. Failure to follow rules come with a heavy price as Jaja, Kambili’s brother has learnt. Kambili’s father, being so close minded about religion, has also disowned his own father for still being a ‘pagan’ and refusing to accept Christianity. The children are allowed to visit their grandfather but have strict rules on what they are allowed to do there, and the amount of time they are allowed to spend there. Having lived such a life, they are suddenly taken by surprise when they go to their aunt’s house. Their aunty, Ifeoma, is as different as possible from her fanatic brother. She somehow managed to convince her brother to let the children come with her for a few days. Her house was full of laughter and happiness. They did not have too much money but they made up for it in spirit. She is Christian as well, but not in the fanatical way her brother is. She accepts her father’s right to believe in what makes sense to him, and as a daughter does what she can for him, despite her own cash-strapped life. Her three children are happy, content and forever questioning their mother, while contributing to their household in whatever way they could. Jaja, fit into the household beautifully, enjoying his time there, soaking in the atmosphere. Kambili, on the other hand, is terrified that her father’s rules are being flouted. She lives in fear that they would have to pay for not obeying their father. When they return back to their home, Kambili misses the simple easy life there, despite all the material comforts her parents’ house had. Jaja shows a few signs of rebellion that irks his father. Some sudden changes and incidents ensure that the children end up in Aunty Ifeoma’s home again. Nigeria, is in the middle of political unrest and their father is affected by it, because he was such an important figure of the community. As Nigeria goes through the upheaval, Kambili and Jaja’s life changes drastically. A poignant, and hopeful story that keeps you rivetted. A story of childhoods coming to an end, of control, of religious fanaticism that we see so much around us, emotions, and primarily, hope. Of better things to come. Some books transport you to another world. You are right there, with the protagonists, feeling their fears, worries and joys, this is one of those books. The characters come alive, you feel Kambili’s fear, confusion, Jaja’s need to rebel, her aunt’s struggles, her mother’s pain… A beautiful book. It also makes me want to look up about Nigeria, a country, I realize,I know very little about. An absolutely recommended read.